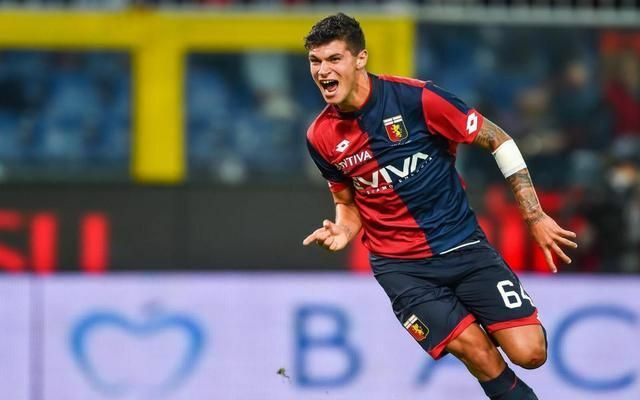 Chelsea are reportedly tracking Genoa youngster Pietro Pellegri with a view of swooping for the teenager in the near future. The 16-year-old has been making headlines in Italy, especially after this past weekend where he scored a brace against Lazio to get off the mark for the season. However, many have spotted his talents prior to that and he’s tipped to be a future star, and according to Il Secolo XIX, as re-reported by The Sun, Antonio Conte is keen on taking the young talent to Stamford Bridge. As noted in the report, the likes of AC Milan, Inter and Juventus have all been linked with moves for Pellegri, but as of yet no club has been able to reach an agreement with Genoa over a transfer. In turn, that has opened the window for Chelsea to enter the race, although it’s added that it will be difficult to prise him away from his boyhood club. Pellegri boasts a great record at youth level while he found the back of the net last season to register his debut Serie A goal. With injuries elsewhere, keep an eye out for him as he’s expected to be given more playing time, and at just 16 years of age, he has the opportunity to really cement himself as one of the most highly-rated young players in Europe. Given his frame and playing style along with his eye for goal, there’s no reason to suggest that he can’t develop into a key player for a Premier League side. However, much will depend on whether or not he wants to leave Italy at such an early age.